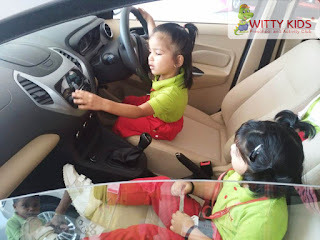 There are many ways to educate a child. 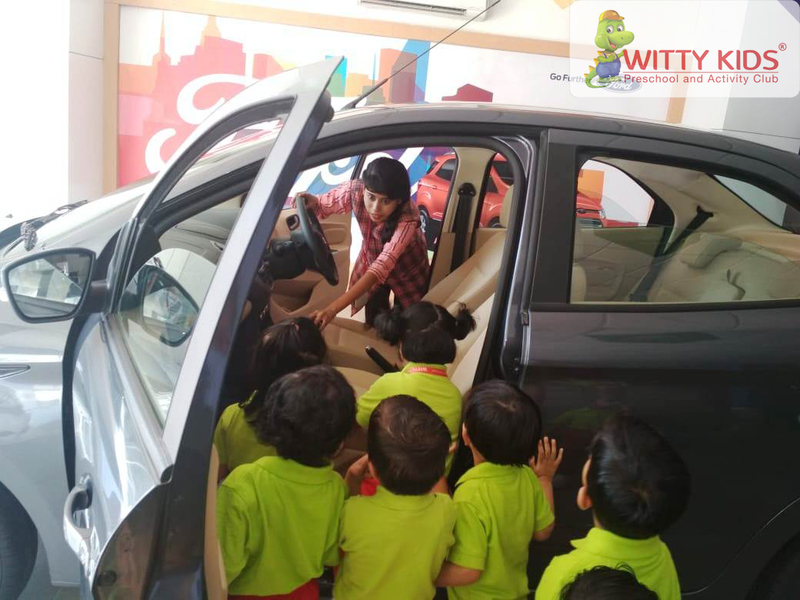 School field trip is one such effective educational activity for students that helps facilitate fast and efficient learning. 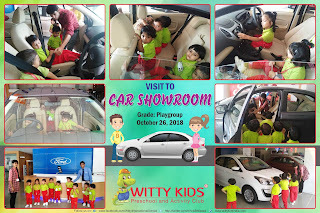 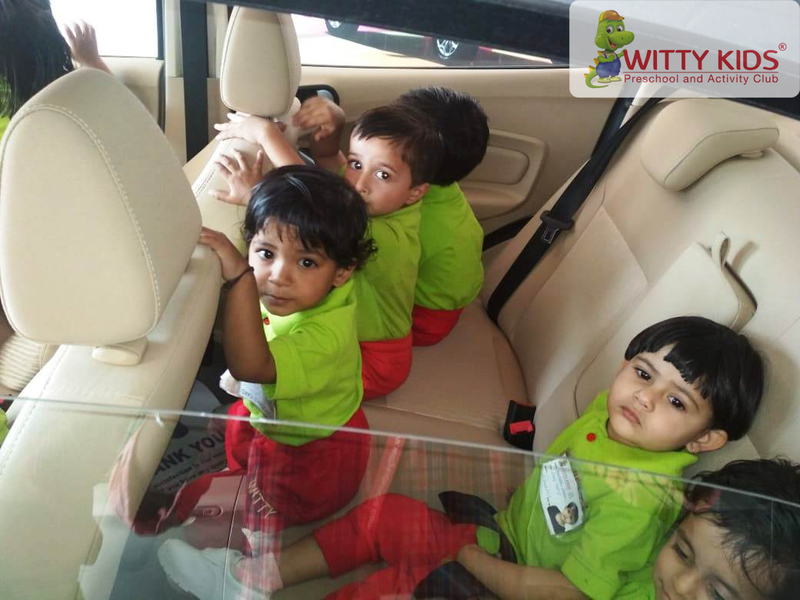 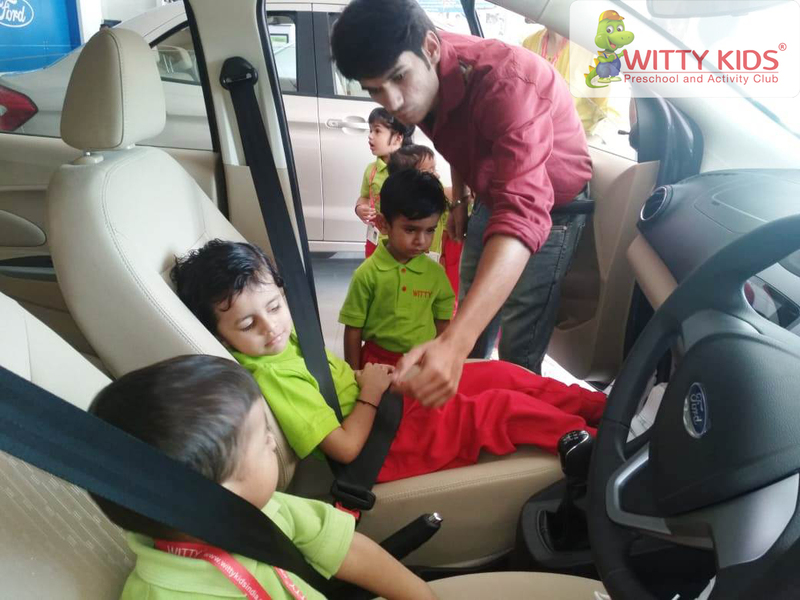 Our Witty Kids toddlers of Playgroup were taken to the Ford Car Showroom on October 26, 2018 to provide them with real-world experience. 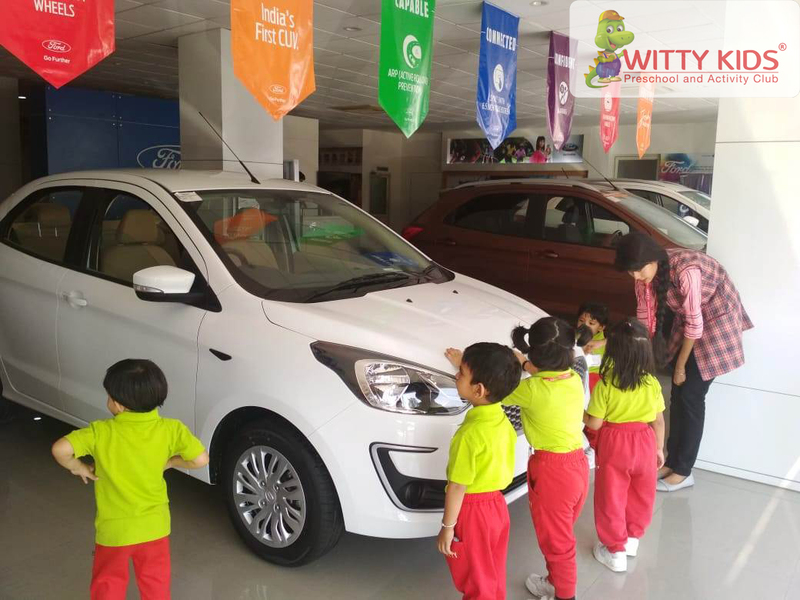 The kids were amazed to see different types of cars and their features. The teachers and team members of Ford explained the kids about the features and their uses such as it has four wheels, two wipers, two headlights, importance of using seat belt and the horn. The kids were made to sit inside the car to create a connection between the classroom learning and the real world. 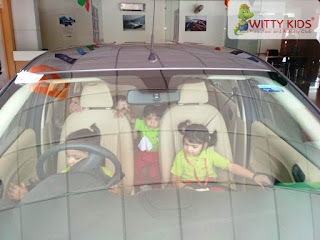 The visit to car showroom allowed children to open their eyes to new environment and new culture. 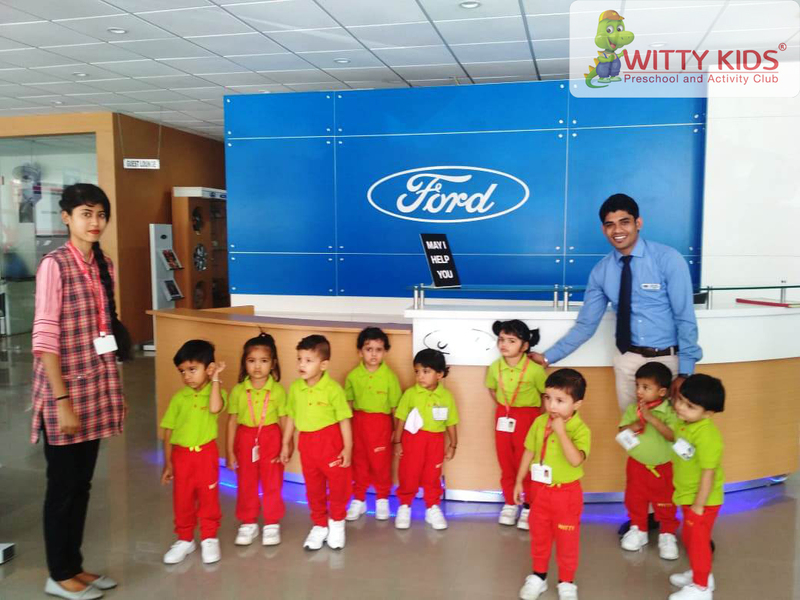 It positively shaped their perspective on a global level and triggers ideas and solutions.